"This month I was invited to be a part of the Five Fat Quarter Fun series with Amber & Amanda (Gigi's Thimble & Jedi Craft Girl). 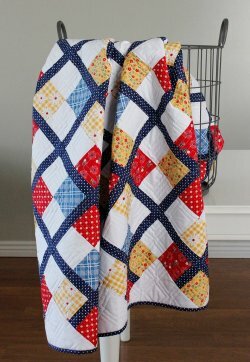 Boy, I tell you - it was a fun challenge to design a quilt using only five fat quarters plus a little yardage. I went through a few different options but quickly settled on this Argyle inspired quilt, called Preppy! 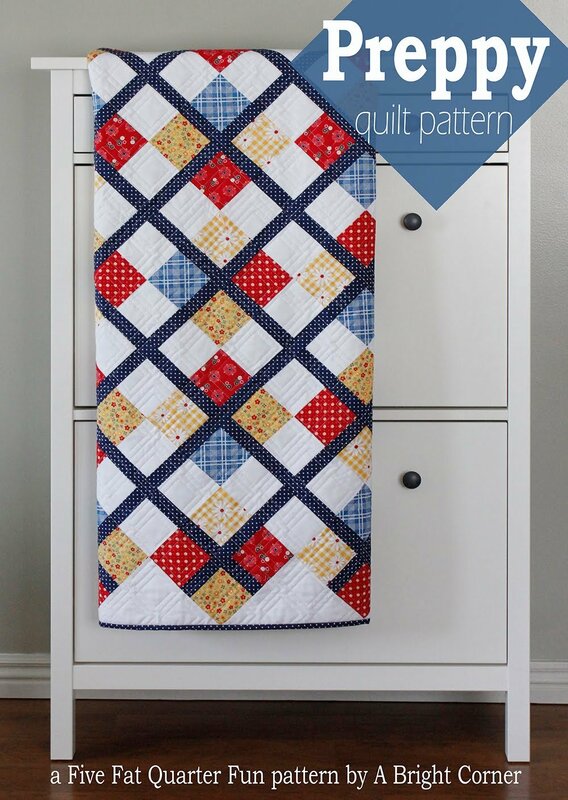 "This is one of those quilts that looks more complicated than it actually is! 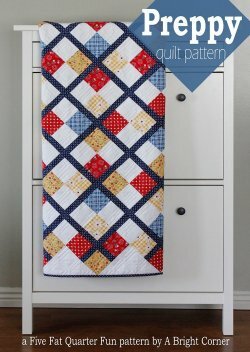 And for those of you who haven't tried making a quilt on point before this would be a great time to try it! Preppy finishes at 50" x 60", and uses 5 fat quarters and some yardage for the sashing and background."